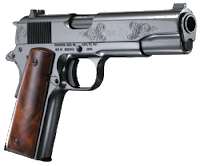 Readers of this blog know that I was shot with a .45 and that I am partially disabled. I am profoundly sympathetic towards the employee of Family Research Council who was injured last August. My sympathies, however, do not require me to abandon common sense. 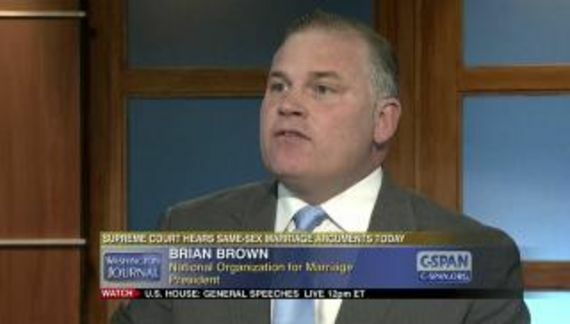 I have little regard for National Organization for Marriage's email signed by Brian Brown titled It could have been one of us. Over the years, in addition to being a bigot, Mr. Brown has been an accomplished professional victim. Mr. Brown is using gun violence to raise money and that is inexcusable. At the risk of repeating my sentiments from an earlier post today, Family Research Council is designated an anti-gay hate group by the SPLC because (among other things) they consistently and falsely suggest that gay men have a propensity to be child molesters. Doing so is within their control. Family Research Council makes many people very angry. At times, they make me angry because I try to see things through the lens of a gay teen. There is no excuse for that anger to boil over to violence. None. Nevertheless, if there is a lesson here it has nothing to do with SPLC. Rather, it would be to dial down some of the hyperbolic rhetoric. The SPLC cannot do that. Only groups like Family Research Council and, yes, NOM can consider some of the hateful language that they use often to raise money. And who knows? If FRC stops calling us pedophiles they might find themselves removed from SPLC's list.